putting teachers and administrators in the position of being able to respond to bullying on the spot. As a trusted authority figure, you can also provide needed support and intervention. is to stop it before it starts. Fostering a climate of tolerance and respect, where bullying isn’t permitted, and establishing anti-bullying policies and rules can create a safe school environment. Teachers hold the most influence in reducing bullying in schools. Create a safe and respectable classroom by having students develop their own code of conduct. Celebrate diversity in your classroom. If you witness bullying as it's occurring, stop the bullying immediately. Talk to all participants, including bystanders. If a student reports bullying to you, never ignore or downplay the incident. Follow up on all reported incidents. 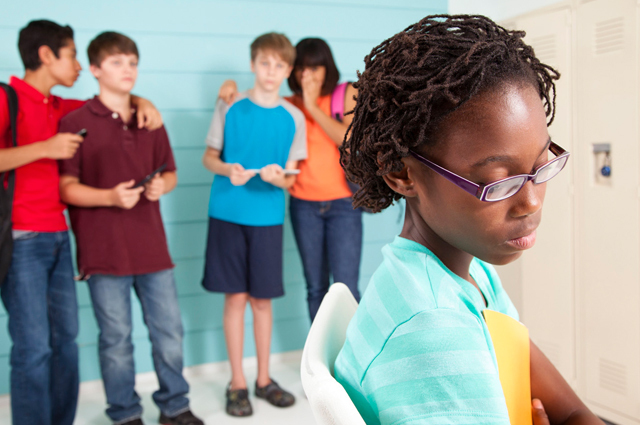 Appropriate responses to bullying do not fall into a "one size fits all" model. Intervention approaches will depend in part on the age of the students, the type of bullying that is occurring, the number of students involved and the circumstances surrounding the incident. Follow your school's policies for reporting bullying and seek support from administration when needed. Investigate all reports of cyberbullying. When cyberbullying takes place on campus, schools are obligated to take action. However, even if the cyberbullying occurs off site, schools have a responsibility to become involved. References: (1) Stopbullying.gov (2) American Psychological Association article: Bullying: A module for teachers (3) National Association of School Psychologists article: Bullying prevention and intervention (4) American Psychological Association Zero Tolerance Task Force (2008). (5) Are zero tolerance policies effective in the schools? An evidentiary review and recommendations. American Psychologist, 63(9), 852-62. Content contributed in part by Erica Maniago, Ph.D.